When Norbert of Xanten founded the Norbertine order of priests in the 12th century, he could little have imagined the impact his life and mission would have on the world nearly nine centuries later. Today, at St. Norbert College, the spirit of Norbert lives by word and example. St. Norbert is not the only Catholic college in the world. Nor is it the only college established by Catholic priests. But it is the world’s only Norbertine college. But some aspects of our mission stem from our uniquely Norbertine principles. Norbert and the first members of his order believed that the highest expression of their Christian faith was not an isolated, self-reflective monastic life devoted only to personal salvation. Rather they believed strongly in the value of community life – both within the order and beyond, where they sought to be agents for positive change. That is what St. Norbert College seeks to emulate. We strive to build a caring and supportive community of learners committed to the greater good and the well-being of the world. We live communio through open dialogue, communication, consultation and collaboration. St. Norbert College builds community by emphasizing a four-year residential experience. Living together on campus will help you form strong bonds with other students, faculty and staff by increasing your understanding of others. Bi-weekly Morning Prayer for the community to come together in reflection. Inviting gathering places, such as the Michels Commons dining hall, that encourage easy interaction among students, faculty and staff. Scores of student organizations that celebrate and inspire collaboration, cooperation and mutual problem-solving. You’ll find community-building in our classrooms, as well. A 14:1 student-faculty ratio promotes close engagement between teacher and learner. Collaborative research opportunities abound. Each student has a faculty advisor. And every faculty member is hired with the understanding that we value teaching above all. Finally, you will find community expressed here through hospitality. We warmly welcome new arrivals in the Ariens Family Welcome Center. We invite our alumni back often to their school – to their home. Those in the greater community experience Norbertine hospitality at the popular September campus-wide open house, enriching speakers’ series, dynamic theatre performances and summertime’s free concerts on the banks of the Fox. Norbertines often refer to themselves as “contemplatives in action.” Norbert believed that life is best lived not in isolation focused on self-improvement, but rather with concern for the well-being of others. An astonishing 1,600 of our current students devoted more than 44,000 hours in a single year in service to others. Many of those hours were spent in service-learning. If you are studying to be a teacher, part of your learning will come from volunteering in local schools. If you are a budding environmental scientist, that could mean testing local water-quality levels. Need has no boundaries. St. Norbert College students serve far beyond De Pere and Green Bay. Our largely student-led TRIPS program organizes trips to assist with issues ranging from microfinancing and urban poverty to HIV and homelessness. St. Norbert College encourages students to discover not merely what they can do in the world, but what they are called to do. Just as Norbert discovered a passion for peace, justice and reform, so our program the Emmaus Center will help you better reflect on and understand your talents and interests and passions. Open dialogue and honest expression are the life’s blood of every liberal arts institution. But our Norbertine heritage gives these ideals even greater resonance. Norbert was a reformer, a reconciler and a peacemaker. Those roles can only be fulfilled through the candor, sincerity and receptiveness to new perspectives that are hallmarks of meaningful communication; thus we particularly prize those qualities at St. Norbert. The Norman Miller Center for Peace, Justice and Public Understanding. St. Norbert College’s highly respected Norman Miller Center for Peace, Justice and Public Understanding is committed to cultivating awareness and compassion, to justice and the building of sustainable peace. It offers resources for students and others to be agents for positive change. It encourages engaging in issues with clarity and charity. We regularly bring visitors to our campus to share their perspectives on the issues of our time. You will find they share no common agenda, espouse no uniform worldview. Instead they challenge students and others with their thinking, defend their ideas, and broaden the lens though which our campus community views the world. We’ll help you broaden your view not just by bringing the world here, but also by sending you out into it. Our students study in more than 30 countries, in every field of study, preparing themselves for lives and careers in a fully globalized century. 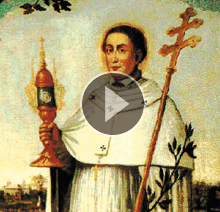 Discover the life of St. Norbert, how Abbot Bernard Pennings founded St. Norbert College and how the dreams of the two men continue to live on at St. Norbert College today.